Lisa Williams is a world-renowned medium and clairvoyant with an amazing ability to communicate with those who have passed on to the other side. Born in England, Lisa was discovered by Merv Griffin and introduced to audiences through two seasons of her own hit show, Lisa Williams: Life Among the Dead, along with Voices from the Other Side and Lisa Williams Live. She has also appeared on many other TV shows, including Keeping Up With The Kardashians, Anderson Cooper, Oprah, The Ricki Lake Show, Good Morning America, The Today Show, Larry King Live and Jimmy Kimmel Live. As well as performing in front of large live audiences worldwide, Lisa also offers workshops and courses in mediumship, developing psychic ability, intuition and meditation. In 2013 she launched the Lisa Williams International School of Spiritual Development (LWISSD) through which she delivers her classes with her own unique and very hands-on method of teaching. Through the school, Lisa offers access to her personally trained and certified mediums and psychics who are part of the LWISSD Directory. Lisa has recently launched ‘The Confident Soul’, an online video series aimed at building confidence within relationships and in the workplace, and part of a new series of online courses. She has also published her own ‘Intuitive Soul’ Oracle Cards to open up our intuitive gifts and develop the psychic senses. Lisa writes regularly about her life and spiritual teachings on her website, lisawilliams.com. Lisa also runs a community site called Soul Connections. She is an accomplished author of books on mediumship and spirituality, including Survival of the Soul and Life Among the Dead, recently published her new book for beginners to mediumship, I Speak to Dead People, Can You?, and is currently writing a new book on the topic of soul mates and soul connections. 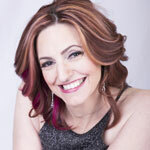 Lisa is a trained Reiki and crystal healer. She lives in New York state with her son, Charlie, and their two dogs.